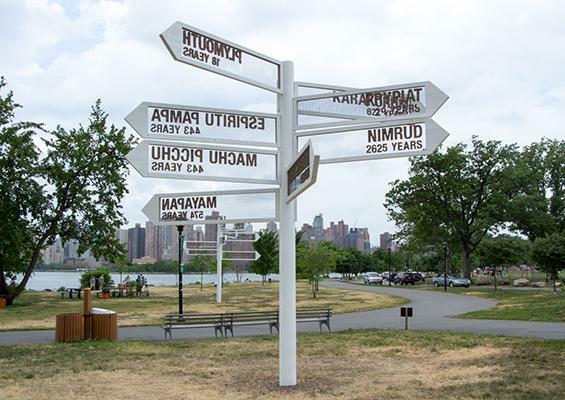 The Randall’s Island Park Alliance, the Bronx Museum of the Arts and Made Event are pleased to present FLOW annual summer art exhibitions along the shoreline at Randall’s Island Park in New York City. 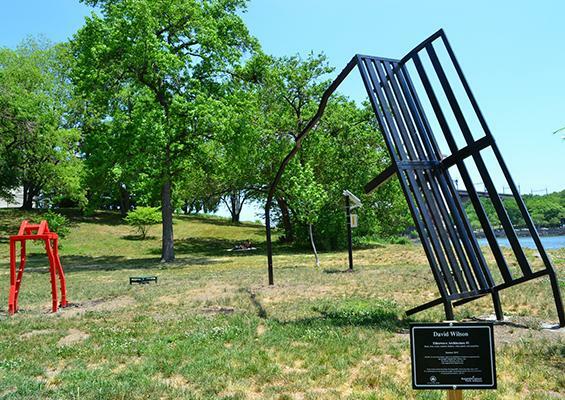 FLOW is aimed at fostering appreciation of the shoreline through artistic expression, while calling visitors to interact with and care for the Park’s island environment. 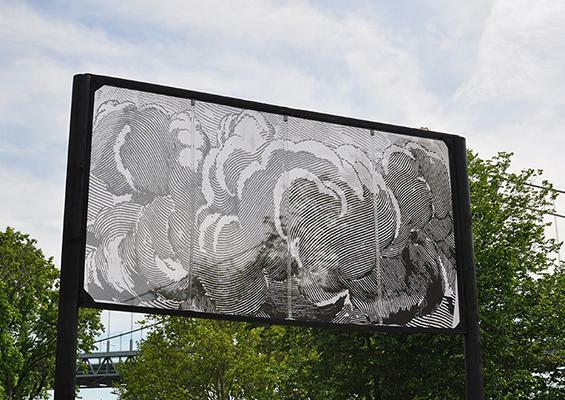 Each year, FLOW features site specific projects by participants in the Bronx Museum’s Artists in the Marketplace (AIM) program for emerging artists. Randall’s Island Park is a unique and remarkable waterfront resource, located in the East River with views of the Queens, Bronx and Manhattan shorelines. New waterfront pathways run along the 4.5-mile shoreline, which includes almost 9 acres of restored salt marsh and freshwater wetlands. 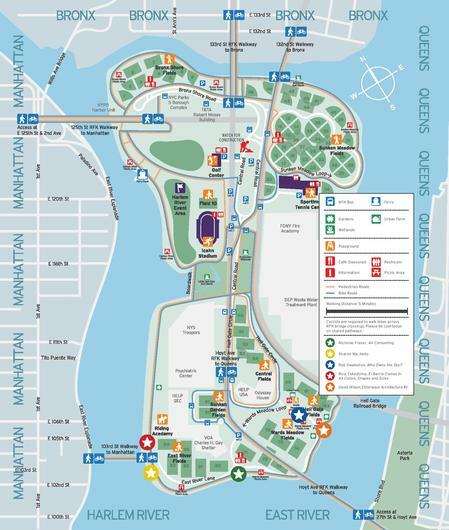 The Park also offers a track & field stadium, a golf center, a 20-court tennis center and dozens of new playing fields, as well as the Harlem River Event Site, home of Made Event’s Electric Zoo, a three-day Labor Day weekend concert event at Randall’s Island which draws local and international DJ artists and audience. FLOW.15 – this year's fifth annual exhibition – will be open to the public from May-November, and will feature new site-specific installations, all reflecting and encouraging interaction with the Park’s history and environment. FLOW is made possible through support from Made Event, proud producers of The Electric Zoo Festival, NYC’s largest electronic dance music festival, held annually at Randall’s Island Park. 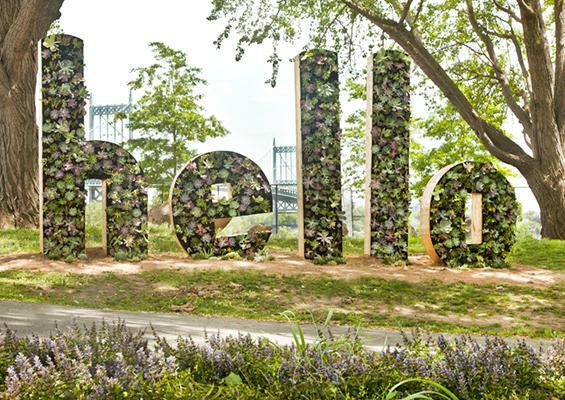 The FLOW exhibitions express the confluence of art, music and environment at Randall’s Island Park, in the midst of one of the world’s greatest cities. For more information visit flownyc.org.